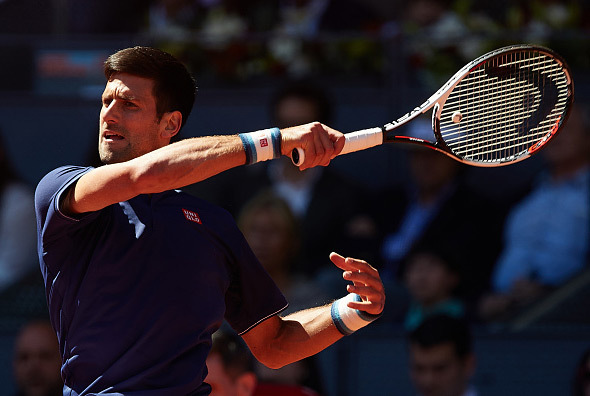 World no.2 Novak Djokovic improved to 3-0 against Aljaz Bedene in their ATP H2H series on Tuesday at the Internazionali BNL d’Italia in Rome. The second seed dropped his first service game in the match but broke back immediately to level the contest. He went on to clinch a tie-breaker in convincing fashion, 7-2. Djokovic broke the British qualifier twice in the second set, in the first and fifth games, to advance 7-6 (2), 6-2 in one hour and 45 minutes. Match statistics: aces (4-4), double faults (0-1), winners (17-21), unforced errors (24-23), total points won (78-64). Novak plays his third round match on Thursday against Roberto Bautista Agut (ESP) who beat his compatriot Pablo Carreno Busta (ESP, 15) in three sets (6-7, 6-1, 6-4).